This model is the Dibro (NZ) Routemaster Bus in red plastic with "Riccarton Axminster Carpets" advertising. It appears to be of an earlier AEC or Leyland double decker bus, closely resembling the Dinky bus but with the added features of the rear stairs and "split" windows. 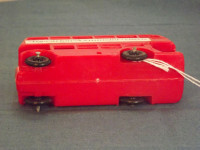 A two part plastic casting comprising the two halves of the bus, the model is entirely red with only limited detail cast into the body. 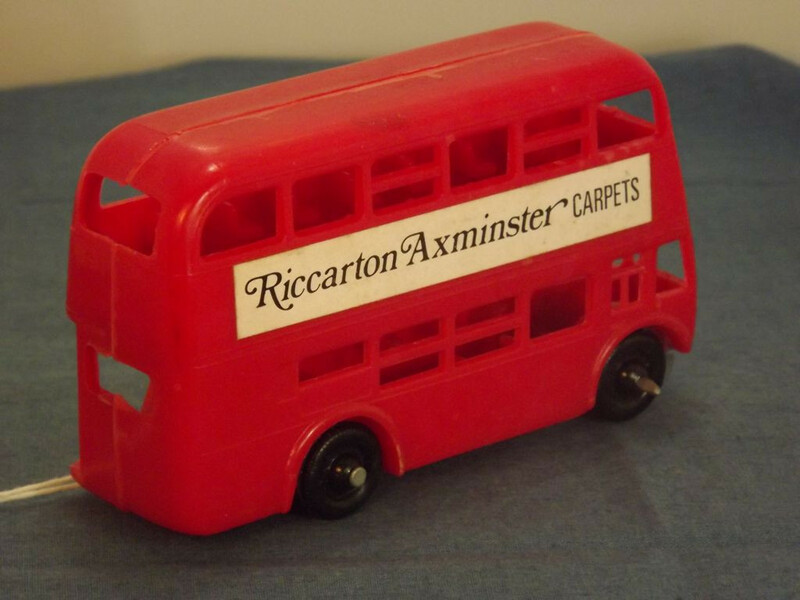 The upper side advertising boards are marked with white paper labels reading "Riccarton Axminster Carpets". The front destination board is marked with "London". 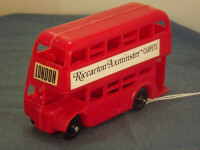 The interior of the model includes the rear steps to the upper deck and seating for the passengers which has been incorporate in the die by having the seats protrude out from the sides of the two halves of the casting. Interestingly the drivers seat is not present due to the intrusion of the right wheel well into the space normally occupied by the driver. There is no glazing. The base plate is incorporated into the two piece casting which is joined down the centre. It is not marked in any way. 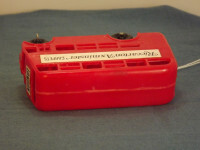 All wheels are one piece, black plastic, attached to the body using a metal axle (very flat head on one side and crimped on the other) that passes through the wheels and the body. 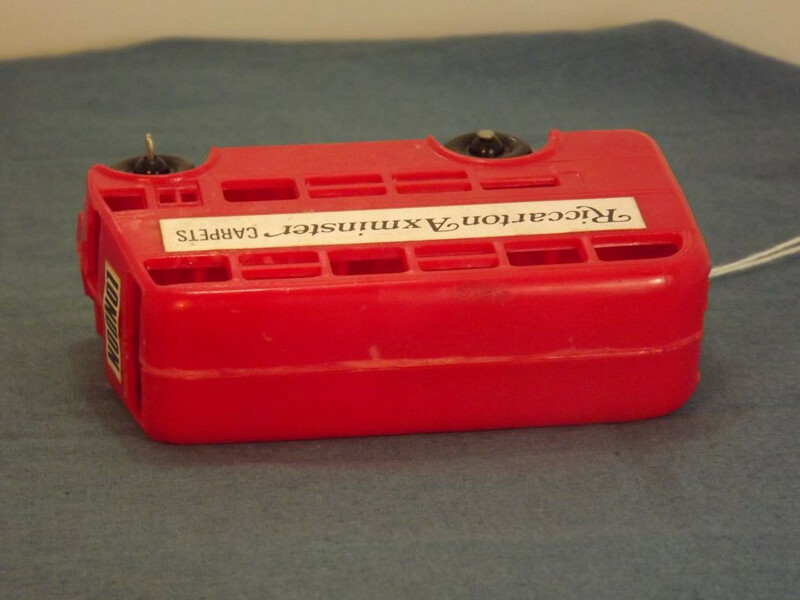 by Feltex (NZ), it is thought this item may have been produced as a promotional item for that company in the mid 1970s.